John D. Herrington, PhD, is a Psychologist in the Department of Child and Adolescent Psychiatry and Behavioral Sciences at Children's Hospital of Philadelphia. Edgar, James C., Fisk IV, Charles L., Liu, S., Pandey, J., Herrington, J.D., Schultz, R.T., & Roberts, P.L. : Translating adult electrophysiology findings to younger patient populations: difficulty measuring 40 Hz auditory steady-state responses in typically developing children and children with autism spectrum disorder. Dev Neurosci. 2016;38(1):1-14. Epub 2016 Jan 6. Pugliese, C.E., Kenworthy, L., Hus Bal, V., Wallace, G.L., Yerys, B. E., Maddox, B. B., White, S. W., Popal, H., Armour, A. C., Miller, J., Herrington, J. D., Schultz, R. T., Martin, A., Anthony, L.: Replication and Comparison of the Newly Proposed ADOS-2, Module 4 Algorithm in ASD without ID: A Multi-site Study. J Autism Dev Disord. 2015 Dec;45(12):3919-31. Kerns, C.M., Maddox, B.B., Kendall, P.C., Rump, K., Berry, L., Schultz, R.T., Souders, M.C., Bennett, A., Herrington, J., Miller, J.: Brief measures of anxiety in non-treatment-seeking youth with autism spectrum disorder. Autism. 2015 Nov;19(8):969-79. Epub 2015 Jan 29. Chevallier, C., Parish-Morris, J., McVey, A., Rump, K., Sasson, N. J., Herrington, J. D., Schultz, R. T.: Measuring social attention and Motivation in Autism Spectrum Disorder using eye-tracking: Stimulus type matters. Autism Res. 2015 Oct;8(5):620-8. Epub 2015 Jun 10. Herrington, J.D., Riley, M.E., Grupe, D.W., Schultz, R.T.: Successful facial recognition is associated with increased prefrontal cortex activation in Autism Spectrum Disorder. Journal of Autism and Developmental Disorders 45(4): 902-910, April 2015. Edgar, J.C., Heikan,K., Chen,Y.-H., Herrington, J.D., Chow, V.Y., Lui, S., Bloy, L., Huang, M.-X., Pandey, J., Cannon, K.M., Qasmieh, S., Schultz, R.T., Roberts, T.P.L. : Resting-state alpha in autism spectrum disorder and alpha associations with thalamic volume. Journal of Autism and Developmental Disorders 45(3), March 2015. Kerns, C.M., Kendall, P.C., Berry, L., Souders, M.C., Franklin, M.E., Schultz, R.T., Miller, J., Herrington, J.D. : Traditional and atypical presentations of anxiety in youth with autism spectrum disorder. Journal of Autism and Developmental Disorders 44(11): 2851-2861, June 2014. Gossen, A., Groppe, S.E., Winkler, L., Kohls, G., Herrington, J.D., Schultz, R.T., Gründer, G., Spreckelmeyer, K.N. : Neural evidence for an association between social proficiency and sensitivity to social reward. Social Cognitive and Affective Neuroscience 9(5): 661-670, May 2014. 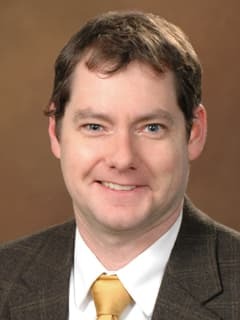 Guy, L., Souders, M., Bradstreet, L., Delussey, C., Herrington, J.D: Brief report: Emotion regulation and respiratory sinus arrhythmia in autism spectrum disorder. Journal of Autism and Developmental Disorders 44(10): 2614-2620, April 2014. Pugliese C.E., Kenworthy, L., Wallace, G.L., Yerys, B.E., Maddox B.B., White, S.W., Popal, H., Armour, A.C., Miller, J., Herrington, J.D., Schultz, R.T., Martin, A., Anthony, L.G. : Replication of the newly proposed ADOS-2 Module 4 Algorithm in an independent sample. Presented at the annual meeting of the Association for Behavioral and Cognitive Therapies, Chicago, IL, USA 2015. Latterner, L., Pandey, J., Wolf, J., Klaiman, C., Herrington, J.D., Schultz, R.T.: Firm Evidence for Facial Identity Recognition Deficits in ASD Using a Task with No Memory Component. Presented at the 14th Annual International Meeting for Autism Research, Salt Lake City, UT May 2015. Herrington, J.D., Pandey, J., Rump, K., Worley, J., Kerns, C.M., Schultz, R.T., Miller, J.: Co-Occurring Anxiety Disorders Are Uniquely Associated with Decreased Amygdala Volume in ASD. Presented at the 14th Annual International Meeting for Autism Research, Salt Lake City, UT May 2015. Bartley, G.K., Liu, H.S., Herrington, J.D., Yerys, B.E., Detre, J.A., Schultz, R.T.: Cerebral Blood Flow Biomarkers of Autism during a Passive Viewing Task. Presented at the 14th Annual International Meeting for Autism Research, Salt Lake City, UT May 2015. Yerys, B.E., Schultz, R.T., Antezana, L.D., Herrington, J.D. : Cognitive Control and Negative Affect: A Dimensional Approach to Self-Regulation in Autism and Other Childhood Psychopathologies and Developmental Disorders. Presented at the 13th Annual International Meeting for Autism Research, Atlanta, GA May 2014. Rump, K., Worley, J., McVey, A., Guy, L., Kerns, C.M., Dingfelder, H., Yerys, B.E., Franklin, M.E., Schultz, R.T., Herrington, J.D., Miller, J. : Anxiety, Distress, and Repetitive Behaviors in ASD, Anxiety Disorder, and Typical Development. Presented at the 13th Annual International Meeting for Autism Research, Atlanta, GA May 2014. McVey, A., Guy, L., DeLussey, C.M., Worley, J., Rump, K., Dingfelder, H., Chevallier, C., Kohls, G., Schultz, R.T., Miller, J., Herrington, J.D. : Anxiety in Autism Spectrum Disorder Is Associated with Abnormal Prefrontal Cortex Activity. Presented at the 13th Annual International Meeting for Autism Research, Atlanta, GA May 2014. Kerns, C.M., Rosen, T., Herrington, J.D., Miller, J., Schultz, R.T., Connell, J.E. : The Role of Hypersensitivity in Anxiety and Specific Phobia in ASD. Presented at the 13th Annual International Meeting for Autism Research, Atlanta, GA May 2014. Kerns, C.M., Lerner, M.D., White, S.W., Kendall, P.C., Herrington, J.D., Miller, J., Franklin, M.E., Ollendick, T.H., Wood, J.J., Ginsberg, G., McLeod, B., Compton, S., Piacentini, J.: Is it anxiety and does it matter? Exploring the manifestations and costs of anxiety and other symptoms of distress in youth with ASD. Presented at the 13th Annual International Meeting for Autism Research, Atlanta, GA May 2014. Guy, L., Souders, M.C., DeLussey, C.M., Kerns, C.M., Herrington, J.D. : Comparison of RSA during a Relaxation Task Between ASD, Anxiety, & Controls. Presented at the 13th Annual International Meeting for Autism Research, Atlanta, GA May 2014. Edgar, J.C., Chen, Y., Herrington, J.D., Chow, V.Y., Bloy, L., Pandey, J., Schultz, R.T., Roberts, T.P.L. : Regionally Specific Resting-State Alpha Oscillatory Abnormalities Predict Clinical Impairment in Autism Spectrum Disorders. Presented at the 13th Annual International Meeting for Autism Research, Atlanta, GA May 2014. Chevallier, C., Parish-Morris, J., Rump, K., Herrington, J.D., Schultz, R.T. : Measuring Contextualized Social Attention Using Eyetracking: A Promising Behavioral Biomarker of Autism Spectrum Disorders. Presented at the 13th Annual International Meeting for Autism Research, Atlanta, GA May 2014. Mazefsky, C.A., Herrington, J.D. : Autism and Anxiety: Etiologic Factors and Transdiagnostic Processes. Handbook of Autism and Anxiety. Davis III, T.E., White, S.W., Ollendick, T.H. (eds.). Springer, Page: 91-106, 2014. South, M., Herrington, J.D., Patterson, S.J. : Neuroimaging in autism spectrum disorders The Autisms: Molecules to Model Systems. Powell, C.M., Monteggia, L.M. (eds.). Oxford University Press, 2012. Herrington, J.D., Schultz, R.T.: Neuroimaging of developmental disorders. Understanding Neuropsychiatric Disorders : Insights from Neuroimaging. Shenton, M., Turetsky, B. (eds.). Cambridge University Press, 2010. Herrington, J.D., Koven, N.S., Heller, W., Miller, G.A., Nitschke, J.B.: Frontal asymmetry in emotion, personality, and psychopathology: Methodological issues in electrocortical and hemodynamic neuroimaging. The Neuropsychology of Mental Illness. Wood, S., Pantelis, C. (eds.). 2009. Herrington, J.D., Sutton, B., Miller, G.A. : Data-file formats in neuroimaging: Background and tutorial. Handbook of Psychophysiology. Caccioppo, J., Tassinary, L., Berntson, G. (eds.). Page: 859-866, 2007. Herrington, J.D., Koven, N.S., Miller, G.A., Heller, W.: Mapping the neural correlates of dimensions of personality, emotion and motivation. Biology of Personality and Individual Differences. Canli, T. (eds.). Page: 133-158, 2006.